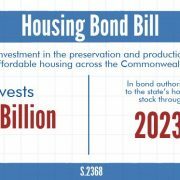 The Massachusetts Senate voted to pass S. 2368, An Act financing the production and preservation of housing for low and moderate income residents, a housing bond bill. The bill is the outcome of a session-long collaboration between the Senate and House, with a focus on preserving, modernizing, and increasing production of the state’s affordable housing stock. In spite of other strong economic indicators, Massachusetts is in urgent need to further develop affordable housing. The housing shortage has placed the Commonwealth in the bottom tier of housing affordability, and rents have risen to the third highest in the nation. 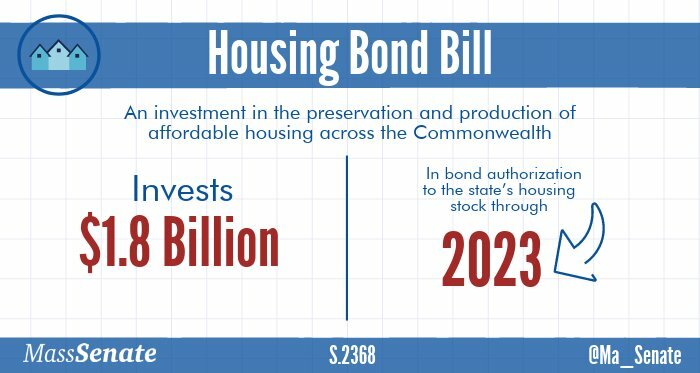 The Housing Bond bill authorizes $1.8 Billion in investments in the preservation and production of affordable housing across the Commonwealth. Senator Lewis sees the housing bond bill as being at the intersection of state government’s role as a partner for cities and towns in promoting local economic development and his advocacy for policies that benefit working families and create greater economic opportunity for all. Critical authorizations include: $600M for the modernization and redevelopment of the State’s public housing stock; $400M for the development and preservation of affordable and mixed income housing; $125M for the preservation and improvement of existing and expiring use affordable housing; $100M for the preservation and development of workforce housing; $65M for community based housing for individuals living with mental illness or disabilities; $60M for home modification for elderly residents and those living with severe disabilities; $50M to incentivize smart growth production and transit oriented developments; and, $45M for the capital investments in early education and out of school programs for low income residents.